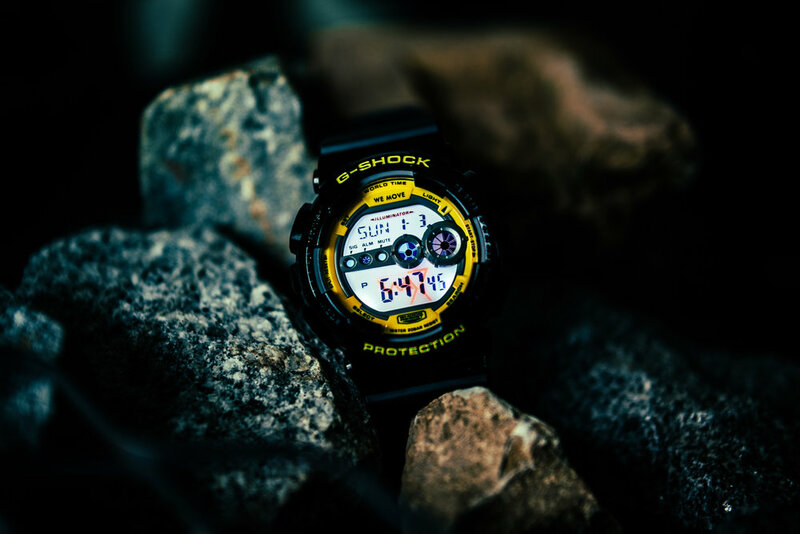 The latest urban alliance between celebrated brands in Asia - Casio G-SHOCK and independent music label from Singapore, Darker Than Wax - present a special campaign “New Times”, introducing exclusive and limited edition of G-SHOCK GD-100 watches. This is affirmative to the resurgence of brands engaging independent creatives and collectives, who work together to develop a refined approach to reach out to a sub-culture and local, esoteric community. DTW has always been inspired by the arts, club culture, spaces, shadows, architecture and the in-betweens. Hence, the concept driving the design is a distillation of all these entities. Subtle contrast between shades of matte and glossy black surfaces, vibrant lines of sandy yellow with ethos of "We Move " discreetly inscribed on the watch dial - It has always been about the details. The campaign, which is also in conjunction with Darker Than Wax 5th Anniversary in December, combines elements of fashion, music, design, and lifestyle. “New Times” will not only be introducing a limited edition “DTW” emblazoned G-SHOCK, but will also include a special mixtape/compilation of tunes produced especially by DTW artists from all over the world, from the likes of Goyama (JP), Similarobjects (PH), Melo Zed (UK), Troy Samuela (NZ), Neguim. (Brazil), and more. The DTW x G-SHOCK watches are available for purchase exclusively at Casio G-Factory in Singapore and G-SHOCK stores in London.